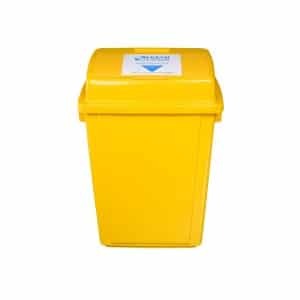 Alsco Sharps Containers and Clinical Disposal Bins for workplace washrooms have been designed keeping the ease of use and the privacy of the user in mind. Our secure sharps bins disposal service ensures disposal of hazardous waste and sharp objects in accordance with EPA regulations. solution to disposing of dangerous waste safely and responsibly. Sharps, whether needles, broken glass, razors, scalpel blades or broken plastic pipettes can cause injury through cuts, punctures. They could be contaminated with body fluids, blood, toxins or hazardous chemicals. The Alsco sharps disposal is installed for you. 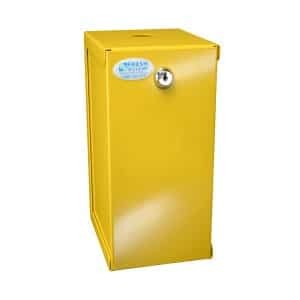 Rugged, lockable sharps containers are designed with user safety as paramount. The sharps bins disposal is done in accordance with EPA regulations to avoid injury to users and harm to the environment. Clinical waste, whether human or animal is present in laboratories, veterinary clinics, medical centres, dental clinics or schools. This toxic waste requires specialist disposal in order to avoid contamination or disease. Simply buying some air fresheners or soap dispensers is not enough. Your washroom needs to be constantly maintained, which is why replenishing and servicing your washroom products are core aspects of our fully managed service. We refill and sanitise your washroom products, exchange any damaged ones, and keep the cycle going in accordance with an agreed timetable so your business standards never fall. This way, your customers and employees will always be sure to work in a clean environment, while you enjoy the peace-of-mind that comes with knowing everything is being taken care of. Hassle-Free and Flexible Want to change your order? Sure! Just order with our staff. Agreed Delivery Schedules Delivered on time, when needed. Adjust for peak seasons. Tax Deductible Take advantage of the savings. Cleaned, Sanitised, Repaired Maintain a consistently professional image all year round. No Capital Outlay Required Reduce the burden on your cash flow by renting instead of buying.